Jujutsu is an ancient and extremely effective martial art: the mother art of many modern martial disciplines and sports. It includes a comprehensive array of techniques such as strikes, throws, chokes, joint locks and breaks, escapes from holds, use of and defense against weaponry (both ancient and modern), pressure point attacks, meditation and massage. 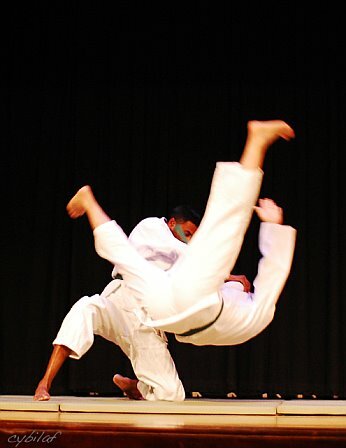 Jujutsu relies not on the strength and size of the practitioner, but rather on a sense of timing and distance and the ability to perform the technique smoothly and by reflex. This ancient art, with its emphasis on building character, community and self-discipline, retains its relevance for the modern world. Danzan Ryu Aikijutsu is essentially Danzan Ryu Jujutsu with all of the load-bearing throws replaced by other takedowns. The two reasons for this change are to make the art more relevant to the self-defense needs of smaller people and to make it more accessible to students regardless of age and physical ability. Load-bearing throws require being able to carry another person’s weight and for the person being thrown to then to take a high fall. Though ideally these throws and falls should be done without effort, they are often not the best choice against a larger or stronger opponent. Also learning them can be risky if one has old injuries, particularly to the back or knee. Our Aikijutsu system provides an alternative by replacing these throws with takedowns such as joint locks or foot sweeps that are easier and safer to execute and receive. 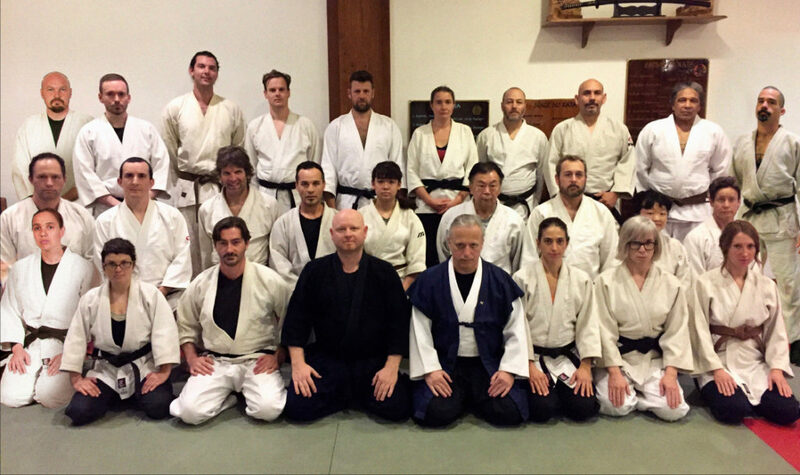 These changes to the Danzan Ryu system were inspired by Prof. David Bellman’s Mushin Ryu system and Michael Esmailzadeh’s study of Aikido and blend the strongest aspects of all three of these practices.